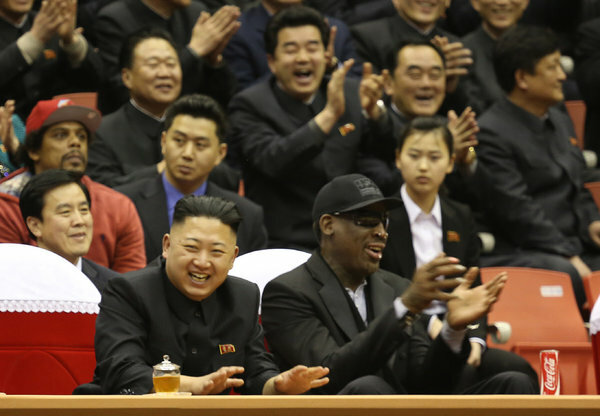 Dennis Rodman has returned stateside after his bizarre trip to North Korea and meeting with dictator Kim Jong-Un and he sat down with noted basketball savant George Stephanopoulos discuss. Rodman, looking like he came straight out of that Geico motorcycle commercial, made some questionable (surprise?) comments about the country and its human rights record, at one point saying "we do the same thing here" and seemed to defend the nation's dictator. Let's go to the videotape.